I don’t know if this is a domesticated cat or a wild cat. All I know is that they eyes are so big that the kitten is beyond cute. If anyone one knows what type of cat or kitten this is please let me know. 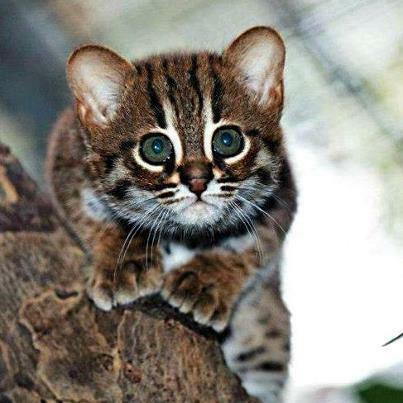 That's a rusty-spotted cat. It's one of the world's smallest wild cats.